The idea of the Nibiru encounter originated with Nancy Lieder, a Wisconsin woman who claims that as a girl she was contacted by gray extraterrestrials called Zetas, who implanted a communications device in her brain. In 1995, she founded the website ZetaTalk to disseminate her ideas. Lieder described Planet X as roughly four times the size of the Earth, and said that its closest approach would occur on May 27, 2003, resulting in the Earth's rotation ceasing for exactly 5.9 terrestrial days. This would be followed by the Earth's pole destabilising in a pole shift (a physical pole shift, with the Earth's pole physically moving, rather than a geomagnetic reversal) caused by magnetic attraction between the Earth's core and the magnetism of the passing planet. This in turn would disrupt the Earth's magnetic core and lead to subsequent displacement of the Earth's crust. After the 2003 date passed without incident, Lieder said that it was merely a "White Lie ... to fool the establishment," and said that to disclose the true date would give those in power enough time to declare martial law and trap people in cities during the shift, leading to their deaths.Many Internet sites continue to proclaim that Lieder's object is en route to Earth, often citing its arrival date as December, 2012. The question at issue now is whether or not this planet exists and/or would be able to effect earth in such a way as Lieder describes. 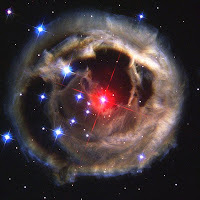 Astronomers reject the idea of Nibiru, and have made efforts to inform the public that there is no threat to Earth in 2012.They point out that such an object so close to Earth would be easily visible to the naked eye, as Jupiter and Saturn are both visible to the naked eye, and are dimmer than Nibiru would be at their distances. A planet such as Nibiru would create noticeable effects in the orbits of the outer planets. Some counter this by claiming that the object has been concealed behind the Sun for several years, though this would be geometrically impossible. Astronomer Mike Brown notes that if this object's orbit were as described, it would only have lasted in the Solar System for a million years or so before Jupiter expelled it, and that there is no way another object's magnetic field could have such an effect on Earth.Lieder's assertions that the approach of Nibiru would cause the Earth's rotation to stop or its axis to shift violate the laws of physics. In a 2009 interview with the Discovery Channel, Mike Brown noted that, while it is not impossible that the Sun has a distant planetary companion, such an object would have to be lying very far from the observed regions of the Solar System to have no gravitational effect on the other planets. A Mars-sized object could lie undetected at 300 AU (10 times the distance of Neptune); a Jupiter-sized object at 30,000 AU. To travel 1000 AU in two years, an object would need to be moving at 2400 km/s – faster than the galactic escape velocity. At that speed, any object would be shot out of the Solar System, and then out of the Milky Way galaxy into intergalactic space. Point of view: In lieu of the overwhelming amount of astonomic evidence proported i don't believe that there is any planet out there on a collision course with earth that impact in 2012. Modern technology would have exposed such a threat if it were anywhere close enough to our solar system.